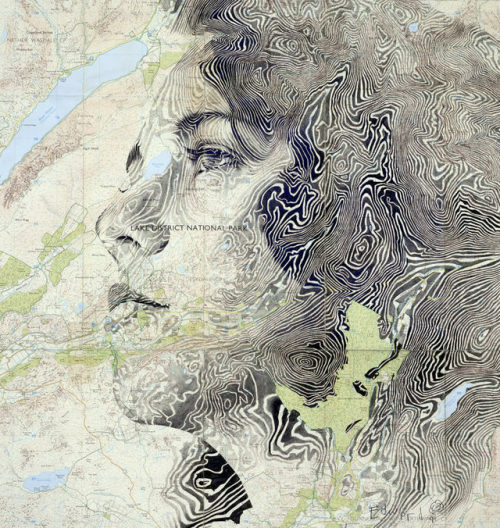 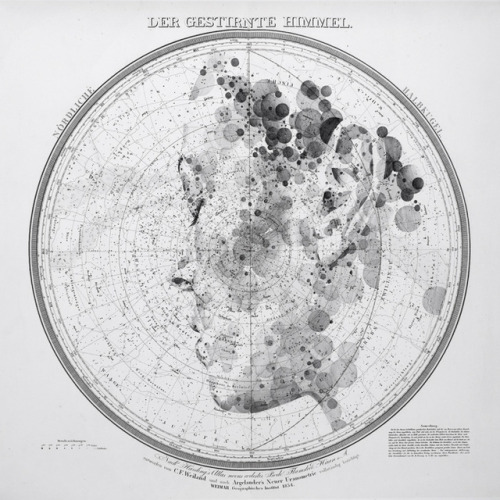 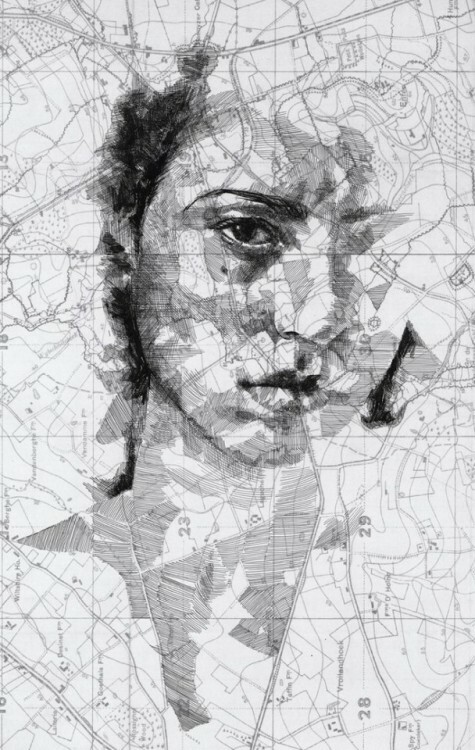 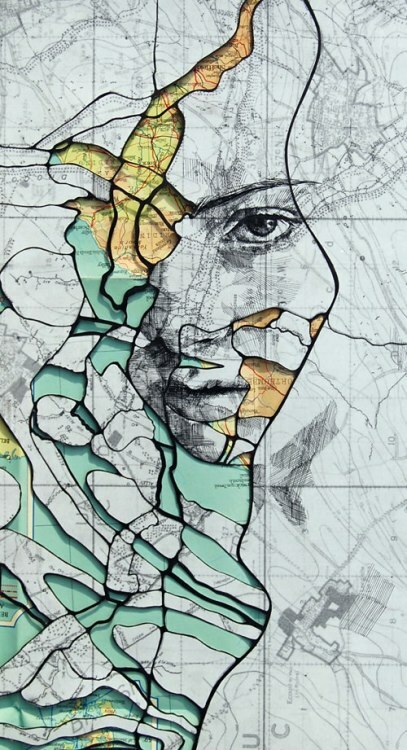 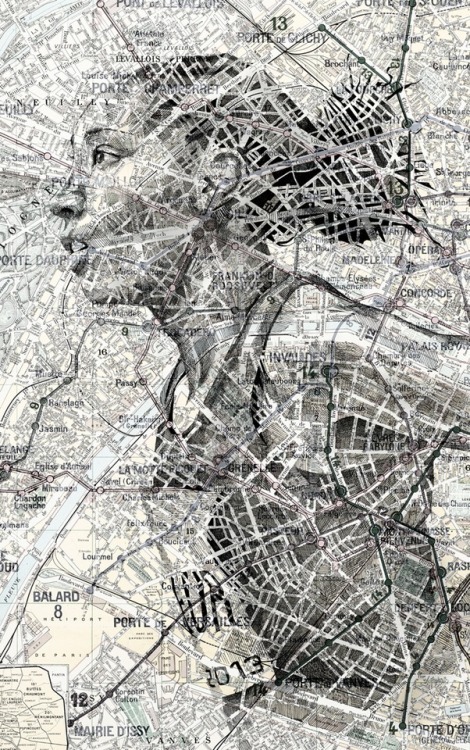 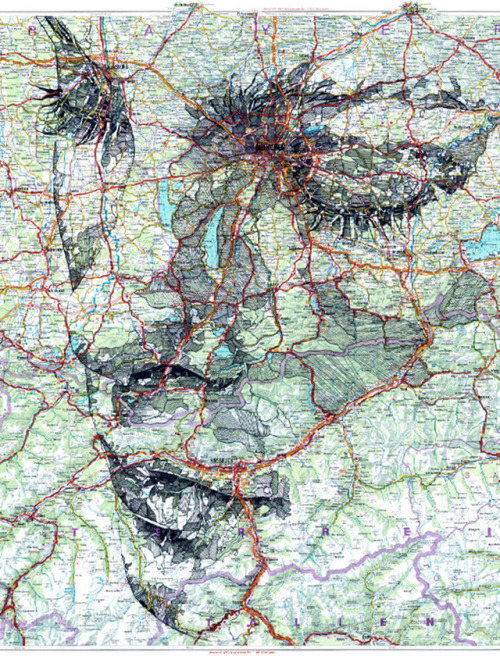 My work is a direct combination of cartography and portraiture. 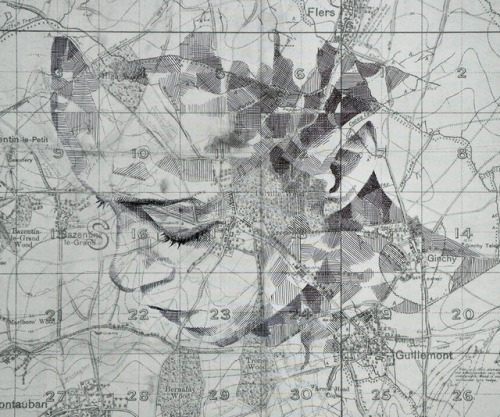 Using traditional materials such as ink and pencil, I intervene with a range of original maps, making gradual changes to contours, roads and other patterns. 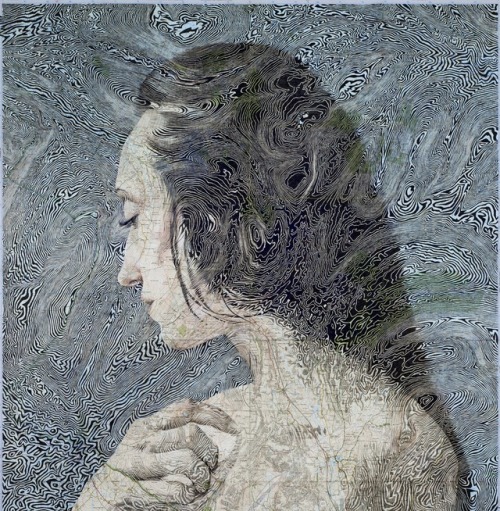 These changes allow me to tease out the human form, resulting in a comfortable coexistence of figure and landscape. 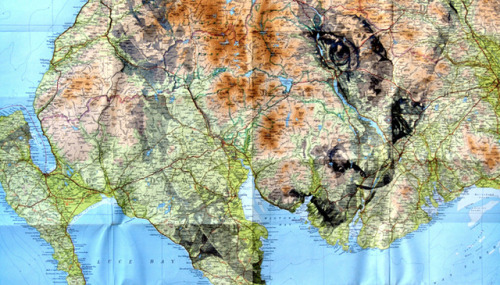 I aim to preserve the functionality of each map by feeding the composition instead of fighting it – I often spend hours studying each map before I begin any physical processes. 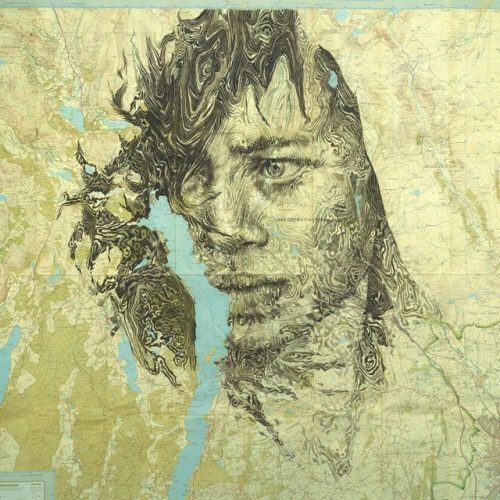 I’m interested in the subtlety of each synchronisation, and the way in which each completed map behaves more like a portrait when viewed from further away – it’s almost paradoxical that a portrait should lose detail when examined closely.